W.J.T. Mitchell - one of the founders of visual studies - has been at the forefront of many disciplines such as iconology, art history and media studies. His concept of the pictorial turn is known worldwide for having set new philosophical paradigms in dealing with our vernacular visual world. This book will help both students and seasoned scholars to understand key terms in visual studies - picto… rial turn, metapictures, literary iconology, image/text, biopictures or living pictures, among many others - while systematically presenting the work of Mitchell as one of the discipline's founders and most prominent figures. 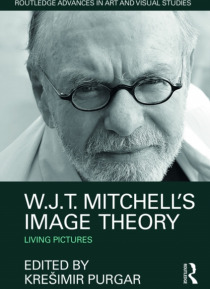 As a special feature, the book includes three comprehensive, authoritative and theoretically relevant interviews with Mitchell that focus on different stages of development of visual studies and critical iconology.